Found in northern Australia. Part of the Dragon family of lizards. It raises its frill when it feels threatened. This makes the lizard look bigger than it actually is, and helps to scare off predators. 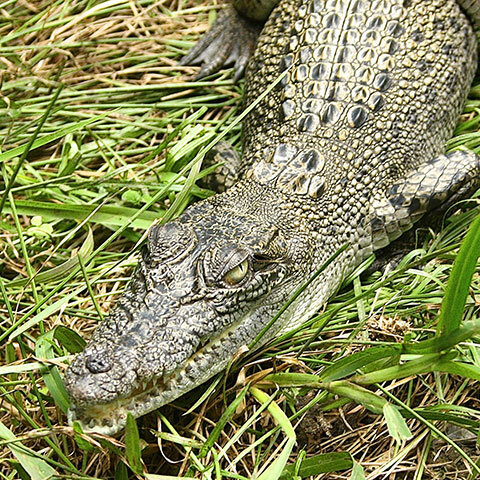 Also known as the Estuarine Crocodile. Found northern Australia. Can grow up to 6-7metres and can live up to 100 years. Definitely an animal you don’t want to come face to face with in the water! Found across the northern third of Australia in the arid regions. 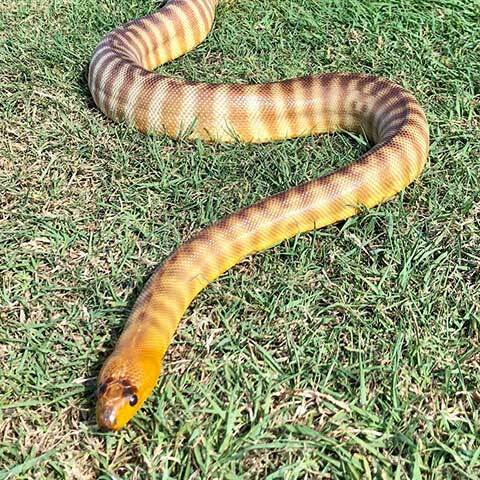 Non venomous. They kill their prey by constricting. They feed mainly on reptiles including lizards and venomous snakes but will also eat small mammals. The black head helps it attract the sun and retain heat. 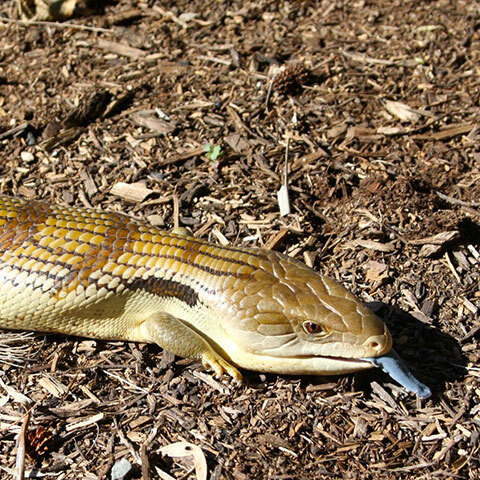 Largest of the skink family. 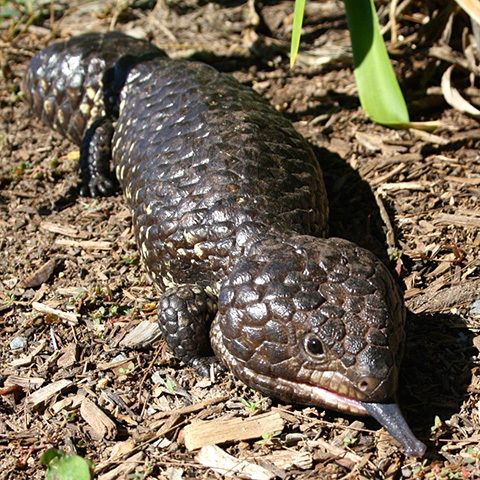 Their large blue tongue scares off predators letting them think they’re poisonous.Great pest controllers in our garden feeding on snails & other pests. Although harmless, they do have a nasty bite if provoked. Found along the East Coast of Australia. Non venomous – Kill prey by constricting. Can grow up to 4m. 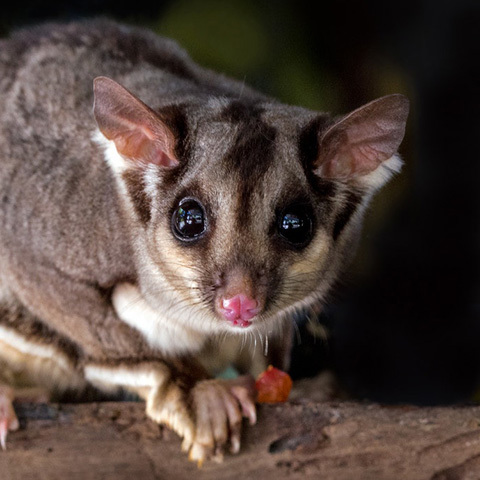 Make great pest controllers, controlling rats, mice and possums who love to make homes in our ceilings. Found in arid regions of central and south-west Australia. They live in rock crevices and down in burrows. They use their tail as a lure to attract their prey. 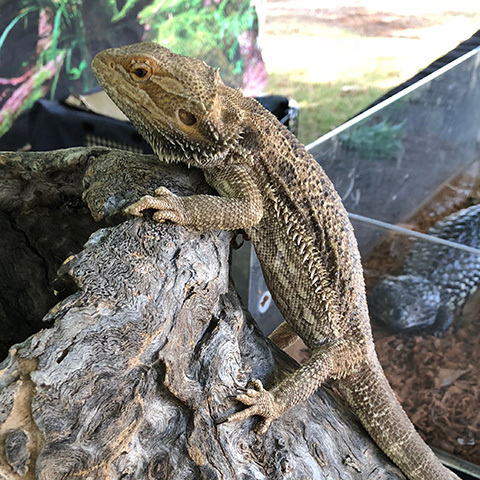 Feed mainly on other reptiles including lizards and even venomous snakes. 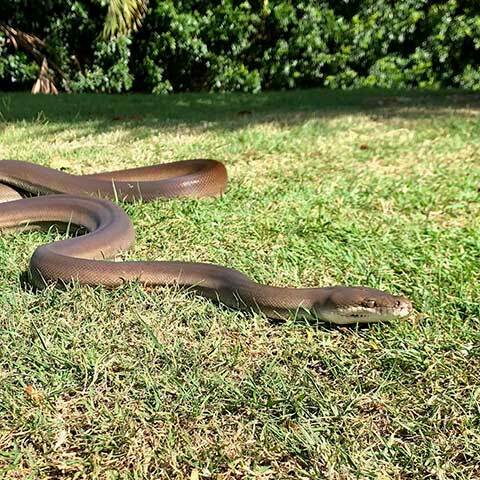 This is Australia’s second largest snake reaching over 4m in length. Found in northern Australia in rocky areas sheltering in caves and rock crevices. 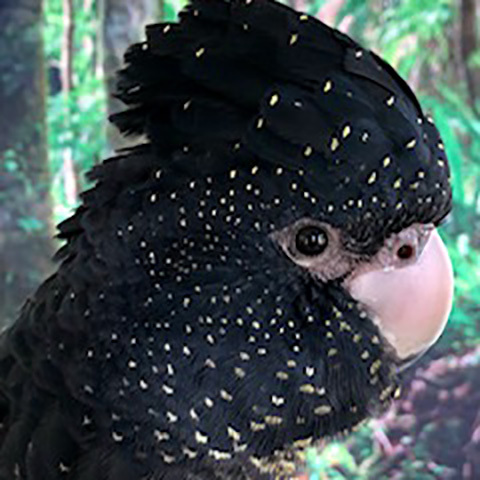 Feeds on birds, mammals, rock wallabies, bats and other reptiles including crocodiles. 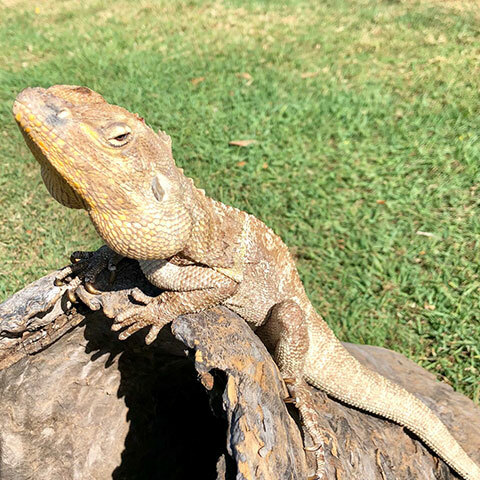 Also known as Double Headed Lizard, Pinecone Lizard, Bobtail Lizard and more. 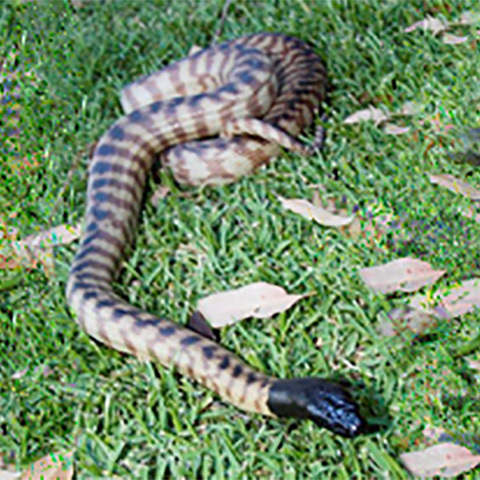 It’s tail looks similar to its head which helps to confuse its predators. Feeds on insects, fruits and plants. Found in desert regions of Central Australia. They puff up their spikey scales under their chin which resembles a beard when threatened. Feeds on insects, small lizards, fruit and flowers. 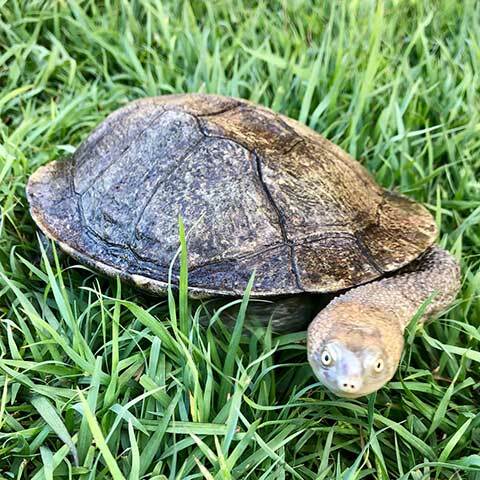 Also known as the Snake-necked turtle. The long neck helps them strike out at passing prey. Found in Eastern Australia living in dams, rivers, creeks and lakes. Their shell can grow to around 25cm. They mainly feed on fish, tadpoles, frogs and crayfish. Found up in the Kimberley region of Western Australia. Feeds on insects, earthworms and spiders. Has a poisonous fluid sac on top of its head that is not poisonous to humans but deters birds and other predators. Found in Western, Central and northern Australia. Feeds on a variety of seeds, nuts, fruits and insects. Can live for more than 50 years. 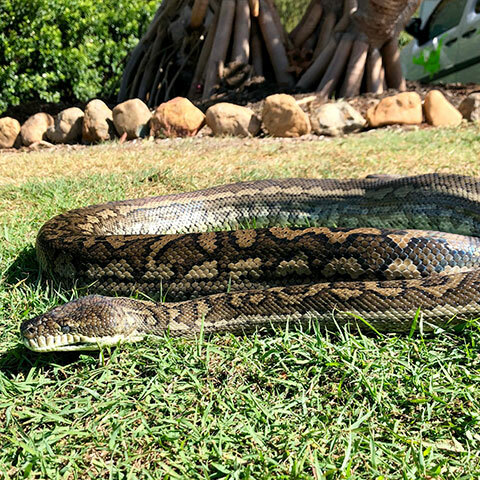 Live in South Eastern parts of Australia. 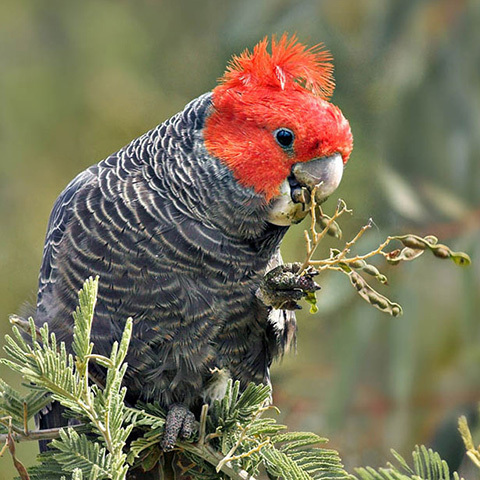 Live in flocks up to 60 birds Males have the red feathers on their head whereas the female is all grey in colour Feeds on seeds, nuts, fruits and insects. 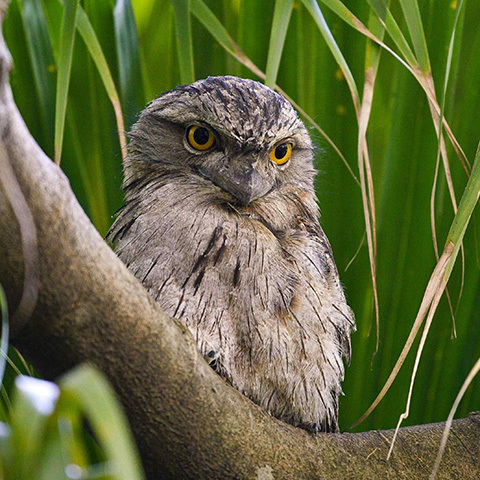 Often mistaken for an owl but belong to the Nightjar family.They are nocturnal. Their coloured feathers help them to camouflage in the trees. 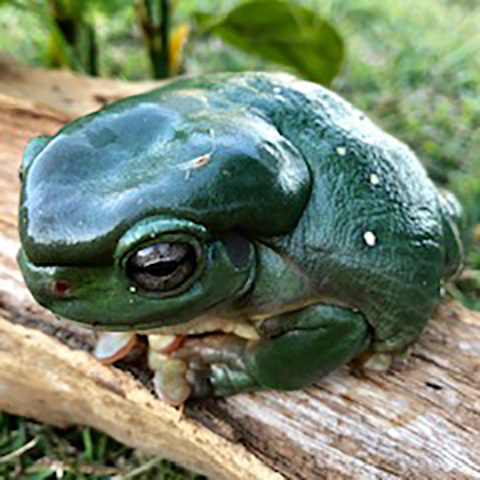 Feeds mainly on insects, small mammals and frogs. Found along the East coast of Australia. 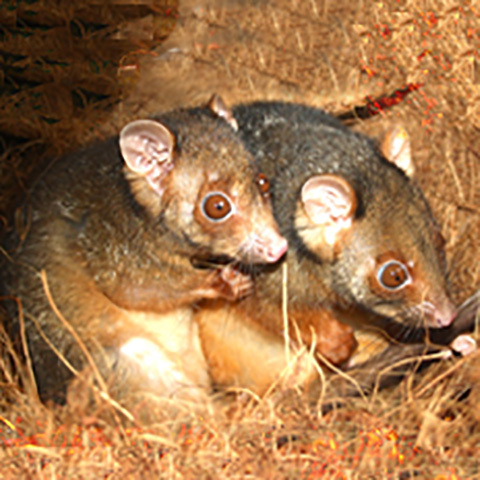 They are a Nocturnal marsupial mammal. Feed on fruits, nectar, pollen, sap of trees and insects. They have a gliding membrane which allows them to glide up to 50m. 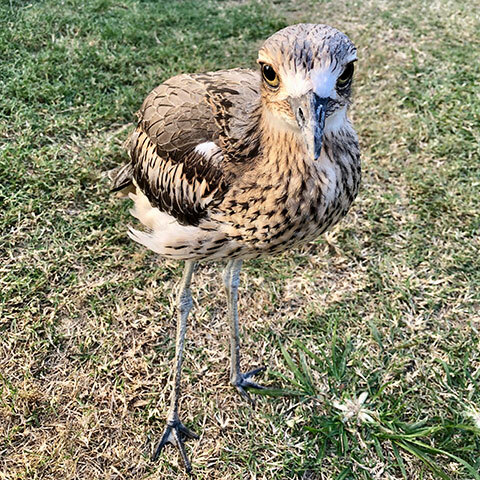 Found along the East Coast of Australia Mainly eat flowers, plants, fruits and shrubs. They are nocturnal and build a nest to live in called a “Dray”. 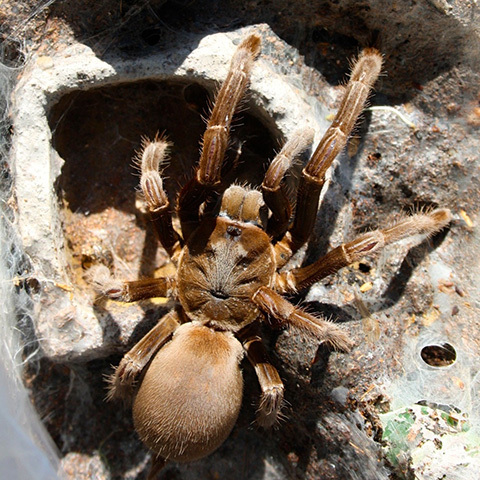 Also known as a “Bird Eating Spider”. Found throughout Northern Queensland. Grow up to 9cm with a leg span of up to 23cm. Largest spider in Australia. Not deadly to humans but can cause vomiting for up to 2 days. A nocturnal, ground dwelling bird. Although can fly long distances when needed. Has an eerie, high pitched wailing sound which they make at night. Feeds on insects, lizards, seeds and small mammals.